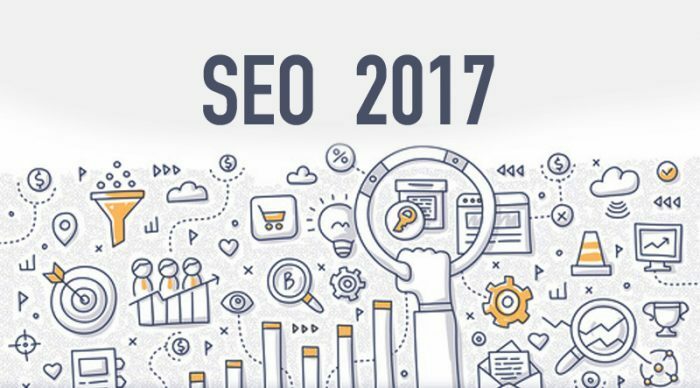 What did we learn about SEO in 2017? 2017 has seen a lot of change in how brands manage their SEO. The year saw many changes in market trends and audience approaches. With all this happing at a fast pace, well defined SEO strategy is what brands need. Let’s see what did we get to learn from witnessing need of innovative SEO this year. With Google’s initiative to lessen the money centric content on the web, we all realised the need to publish quality content on your website. Only the websites that have good quality content on them are given priority by Google. You need to have such content on your website that provides the customers information about your brand and services. Apart from this Google has gotten very alert with the tricks and tactics that some marketers use to get traffic. If you attempt any such endeavour, you may invite yourself a bad visit from Google. You can issue a press release every now and then. You can publish blogs on third party websites to get traffic from them. But make sure they are trusted websites. Get yourself listed on trustworthy directories and similar portals. To get traffic, it is important that your website is easy to be found on the web. This is where keyword optimization comes to help. You need to find out keywords that the audience may search for in the queries. To find out the keywords you can use tools like SEMRush, Google Planner, etc. The reports from these tools give you information about how many times people searched for your keyword and how much competition you are facing for the keyword. For keyword optimization, you should aim for high search keywords with lesser competition. The keywords that you choose can be inserted into URL, Titles and content. It is a smart move to insert the keyword of your choice into the URLs, title, etc. but using keyword more than genuine content is a practice that Google frowns upon. If a website is indulging in any such malpractice, Google is smart enough to block such strategies and give that website lesser rank and preference. Meta tags are the paragraphs that are present just below the title of a website. Earlier it was required to mention the keywords in your Meta tags but that is not the case anymore. But still a unique and appealing Meta tag will help you convince customers to pay a visit to your website. A unique Meta tag makes you stand out amongst your competitors. Indexed Age- Indexed age is the date when Google found out about your domain. A website that has an indexed age will rank much higher than a brand new website. Google giving your site preference depends largely upon your website’s and content’s index age. So it is important to work on your website and get it under Google’s consideration and knowledge as soon as possible. To get Google to give your website attention, it is important to have a healthy authoritative profile. A healthy profile is one which has multiple quality links coming from quality sources. Google also pays huge importance to the sites which are linked to your domain and the content that those links carry One thing that can help you in Google’s attention is having a variety of links coming from multiple sources. Apart from all this, if your website gets high quality links in comparatively lesser time, it can benefit you a lot with getting Google to pay attention to you. Content is an important element to relate to Google’s relevancy algorithm. Skimping on developing quality content won’t help your website in anyway. Bad quality content with errors can end up with your website getting a low rank in the SERPs. With well-defined tactics and strategies, the future of SEO looks bright. The easiest way to get a successful SEO campaign is to consistently publish quality and informative content on the website. Google launches updates and changes regularly, but these rules will provide you the base to build all your SEO strategies and lead your website to success.